Consisting of two clarinets and one bassoon Serenade Woodwind Trio offers a diverse repertoire in a chamber music setting. The beautiful blend of reed instruments suits its repertoire of classical, jazz and Broadway show music. 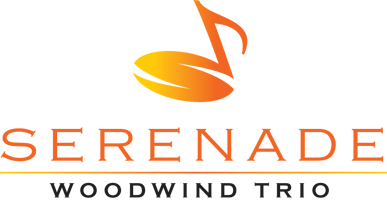 Whether you want the elegance of Bach or Mozart, the swing of Gershwin, or the joy of the music of the Broadway stage this group offers it all and each event’s repertoire may be tailored to your exact desires. The ensemble’s extensive repertoire also includes wedding and Christmas music. 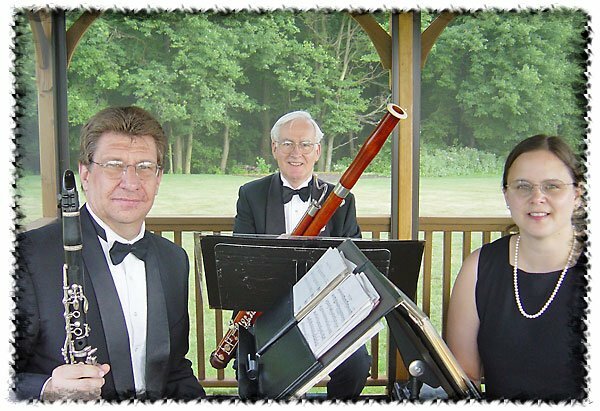 Serenade Woodwind Trio is the perfect addition to any party, wedding, or other social occasion where the elegance and delight of chamber music is desired. This ensemble is always a great choice! This is only a partial listing of Serenade Woodwond Trio’s repertoire — the trio can do other specific pieces upon request if given proper notice. Music for other occasions is also available — just inquire! For more information please call (609) 883-9099.